This small replica of the Cub Crafters Sport Cub packs an array of impressive features into a convenient ready-to-fly package. 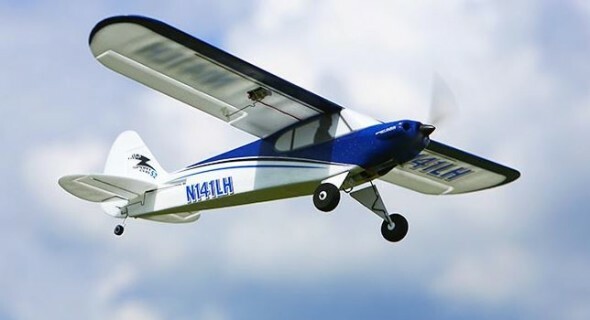 Revolutionary SAFE technology helps beginners learn the basics of flight and allows them to progressively advance their skills using graduated flight modes. At the first sign of trouble, a pilot can instantly return to steady flight using Panic Recovery mode. Beginner, intermediate, and experienced flight modes allow pilots of all levels to enjoy four channel control with working throttle, rudder, elevator and ailerons.